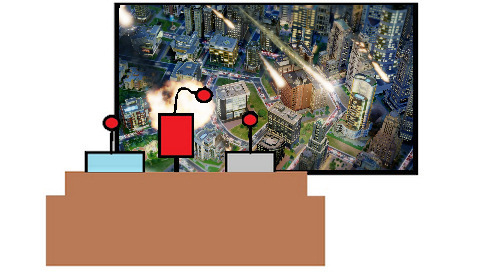 So the SimCity launch didn't go quite as planned. That said, we can still play it. Heck - Is streamed over an hour of the game last night. But that's ok if you don't want to play it yet, I don't blame you. There's still nazi zombies to snipe and emblems to fire. Also Andrew refuses to put Dark Souls down once again - except now he wants to do it naked. Send help. Nick Puleo (@NickPuleo) - "SimCity at Llama speed. Maybe sniping some zombies." Andrew Gaskill (@cubninja) - "I'm going to snipe some Nazi zombies and work on my no-shield playthrough of Dark Souls. " Mike Katsufrakis (@Pheriannath) - "Tomb Raider, Dark Souls, Fire Emblem, and some more Etrian Odyssey 4. " Marc Allie (@DjinniMan) - "I'd like to hit up some Starcraft 2 to make sure I'm ready for the expansion. Comp stomp, anyone?" Jason Love (@JLove55) - "I'll be playing more Etrian Odyssey IV and slowly progressing my way through the labyrinth as well as hopefully putting in a little more time with Dead Space 3"
Eric Murphy (@smurph_em)- "I've got another busy weekend lined up but I'm hoping to find time for XCOM: Enemy Unknown and Life is Magic." Sam Tyler (@reelsamtyler) - "I'm free from the shackles of LEGO LOTR, so I am planning to embrace Borderlands 2, Sleeping Dogs and Crysis 3." Locke Vincent (@LockeVincent) - "Raiding Tombs, and editing all the slow motion zombie headshots we got this week. " Tally Callahan - "Gotten back into Torchlight 2, so I'll be hitting that up." Chris Metz (@The_Lemko) - "Can I reach the City of Gold in Spelunky? Probably not, but I'm going to try my damn hardest. OH, and I'm also throwing in extra cardio with Runner2." DJ Waaland (@FusRoDJ)- "Gonna be playing more Minecraft Xbox 360 Edition, Dark Souls, and hope to get into Fallen Enchantress." John Bardinelli (@itsamejohn) - "Gotten back into Sol Survivor, so it'll be a weekend of tesla coils and lasers firing from the sky." Page created in 0.7293 seconds.